Season both sides of chicken lightly with salt and pepper. In a small bowl, combine honey, soy sauce, onion, ketchup, oil, garlic and pepper flakes. Cook on low for 3-4 hours or on high 1 1/2 – 2 1/2 hours, or just until chicken is tender. Dissolve 4 teaspoons of cornstarch in 6 tablespoons of water and pour into crock pot. Stir to combine with sauce. 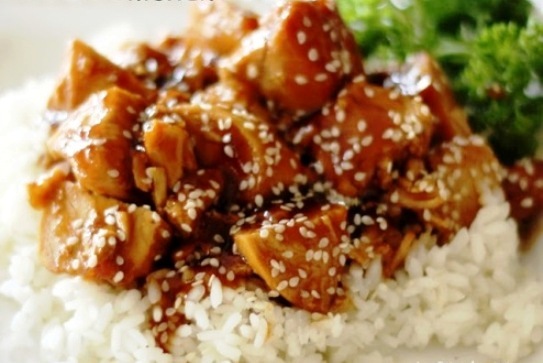 Sprinkle with sesame seeds and serve over white rice or noodles.